Looking for any cashback offer on Gold? 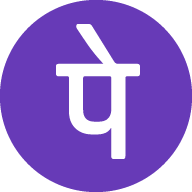 Here Phonepe has come again with an awesome offer for their users on Gold. 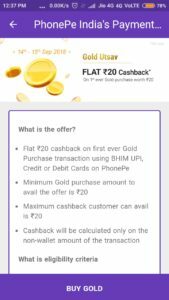 Phonepe is offering Flat Rs 20 Cashback on 1st Time Gold Purchase worth Rs 20. SO, Hurry up!! and grab it now. 6- You will get your cashback soon.